In mortgage released } W^m F. Stone Reg. 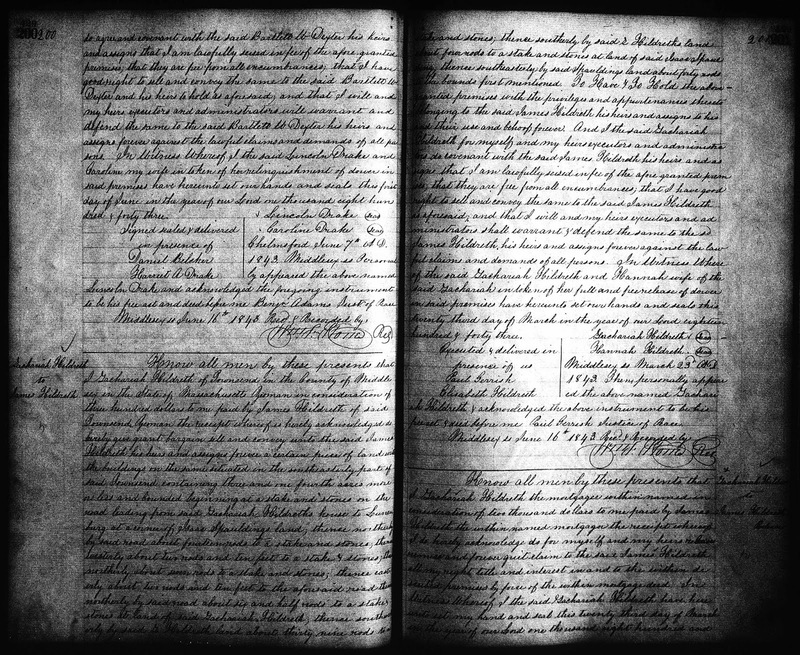 "Massachusetts, Land Records, 1620-1986," digital images, Church of Jesus Christ of Latter-Day Saints, FamilySearch (https://familysearch.org : accessed 2 February 2019), Middlesex County, "Deeds, 1843, Vol. 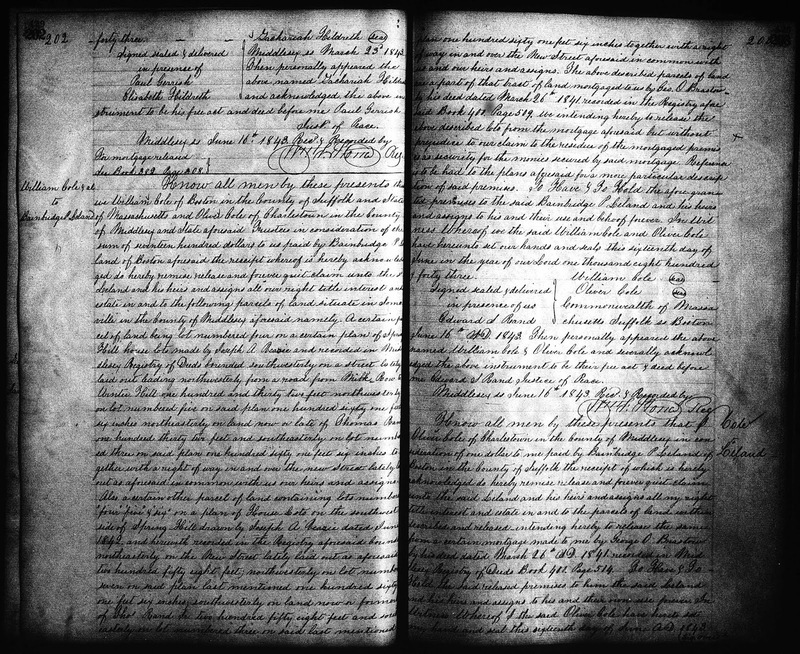 429," Volume 429, pages 201-202 (images 103 and 104 of 285), Mortgage release of Zachariah Hildreth to James Hildreth, executed 23 March 1843, recorded 16 June 1843. 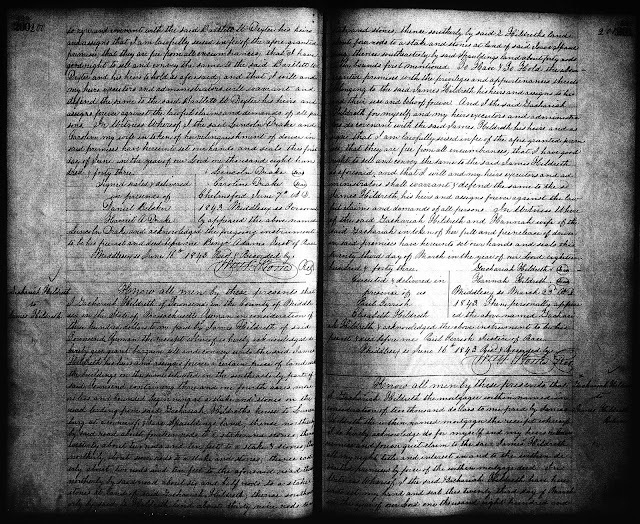 On 10 June 1839, Zachariah Hildreth sold two tracts of land in Townsend to his son, James Hildreth, for $2,000. Apparently, James took out a mortgage for the $2,000 and was to pay it off in an unknown amount of time. This mortgage release indicates that he paid off the mortgage or it was forgiven by Zachariah Hildreth. 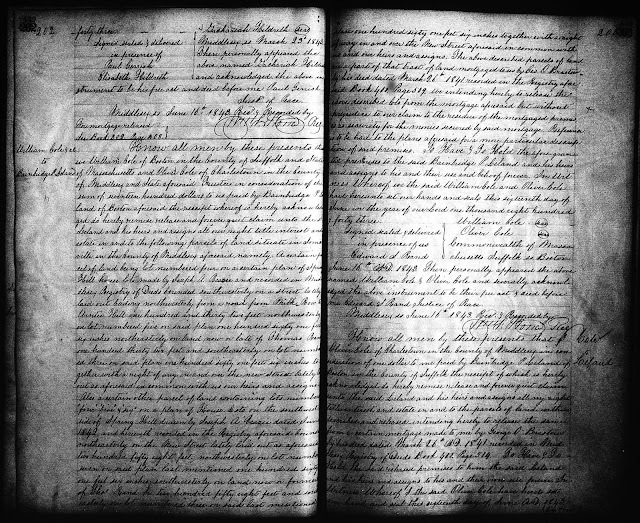 The 1839 deed is transcribed in Amanuensis Monday - 1839 Deed of Zachariah Hildreth to James Hildreth in Townsend, Mass.